If you are in the medical devices industry, are you ready for FDA Unique Device Identification (UDI) Compliance? With the FDA’s Unique Device Identification being rolled in over the next few years, this is a good time to get prepared – there is a lot of info on the topic of UDI at the FDA’s website and you can also read the ID Technology UDI eBook. Since UDI requires that each level of packaging is identified with its own UDI, a number of different technologies will be needed to ensure that everything is printed and labeled correctly. This is where ID Technology can help. Direct Part Marking – DPM. For marking UID codes directly to products, a great solution is our range of Macsa Lasers. With both CO2 and YAG lasers, ID Technology can successful mark just about any substrate with quality, permanent codes. Macsa is a leader in the laser coding and marking business and has a comprehensive line-up of products for just about every application. A Macsa CO2 or YAG laser can print text, graphics and barcodes, both 2D and linear barcodes being supported. Regardless of whether you are using GS1 or HIBCC as your standards organization, ID Technology’s Macsa laser can print compliant verifiable UDI marks directly onto your products – they are also excellent for printing onto chipboard and other carton types as well. 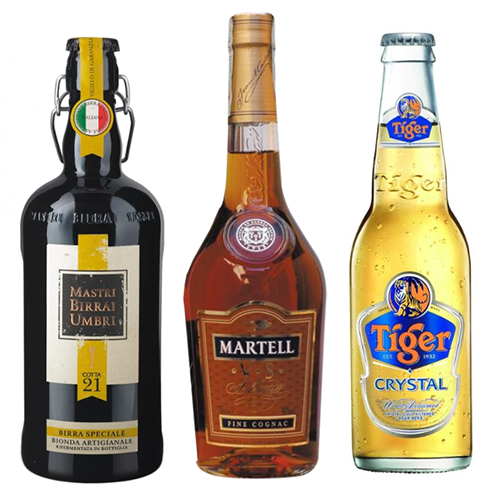 Does it make more sense to use labels to identify your cartons? ID Technology is a leading manufacturer of labeling equipment and labels so we can certainly help with that. A lot of medical devices are packaged on thermoforming or other types of packaging machines. 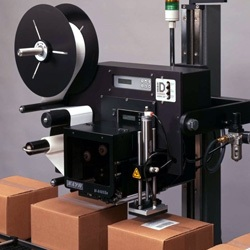 Because these often package the products in lanes, we have developed a range of printers that are specially designed to be able to print across the web on these horizontal machines. Our Greydon printers can print UDI and other variable information on Tyvek, paper and flexible films. While we have Greydon flexographic printers for printing static information on these packages, for the variable UDI marking, we use our thermal transfer or digital UV inkjet printers. Greydon thermal transfer printers, come in print widths of two, four and five inches and can print webs of up to 25 inches wide. Our thermal printers can print text, graphics as well as barcodes – including both the linear and 2D barcodes needed for UDI labeling. The printers can be installed on all horizontal packaging machines and can print on both the top and bottom web as needed. 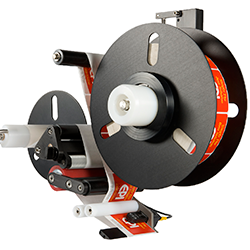 Greydon flexo printers are designed to be installed on horizontal packaging machines and produce excellent print quality at minimal cost per print. Unlike most flexo printers, our’s prints across the web during the dwell part of the cycle – this allows for a compact design and the best print registration. One or two colors can be printed and a secondary digital printer is usually incorporated to allow the printing of variable data such as date/lot codes and UDI barcodes. Our Greydon Genesis system is revolutionizing printing for medical devices. Genesis can print high-resolution text, barcodes and graphics onto most substrates, using low cost, safe, UV cured inks. If you need color printing for your medical device packaging, Genesis can handle that easily. 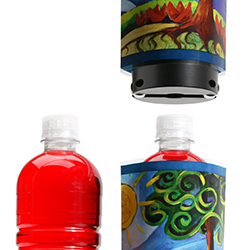 The system is available with color options from simple monochrome up to full color CMYK. Genesis prints at 360 DPI, the print can be changed to your next job in a few seconds and is compatible with both GS1 and HIBCC barcode standards. Already in use with some of the most demanding medical device manufacturers, Genesis sets a new standard when it comes to digital printing. To read the rest of the entry on Technologies for UDI Labeling at LabelingNews.com, please click on the link below.